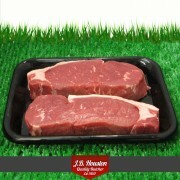 Always delicious, our UK beef is grass-fed outdoors for a mellow flavour, before being traditionally matured for up to 21 days for tenderness. 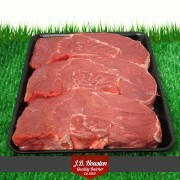 Here you will find our range of top quality grass-fed beef steaks, beef roasting joints, casserole cuts, beef steak burgers, not to mention prime minced diced beef. 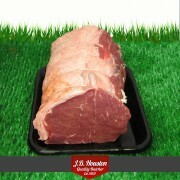 Beef Sirloin Rolled minimum weight 750g The most popular roasting joint. 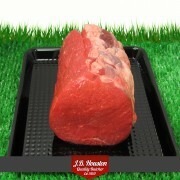 A light covering of f..
Barrel Trimmed Fillet of Beef 1 kilo of the leanest, most tender cut of beef, we trim our Br.. 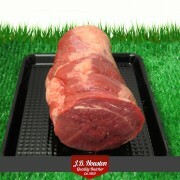 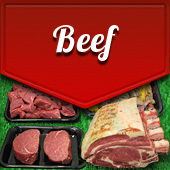 Beef Rolled Topside minimum weight 750g This is a prime lean cut of beef from the rear of the .. 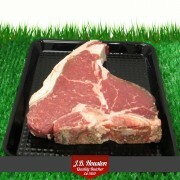 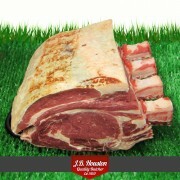 Beef Rib Roast on the Bone minimum weight 1kg - 1000g The ultimate centre piece joint perfect .. 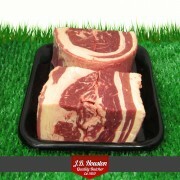 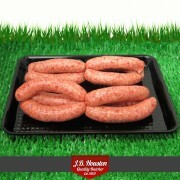 Rolled Brisket minimum weight 1kg - 1000g After pot roasting, this traditional joint is melt-i.. 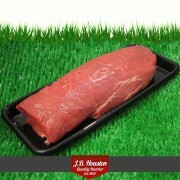 Beef Salmon Cut minimum weight 750g An underused and often unheard of cut of beef from the top..
Sirloin Steak minimum weight 180g A generous slice of melting sirloin with a thin cover of cre..
Boiling Beef minimum weight 500g Boiled beef is a delicious way of cooking a cheaper cut.. 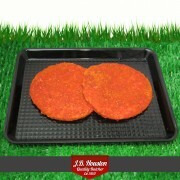 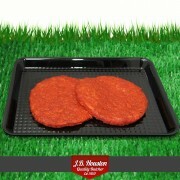 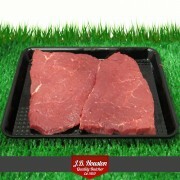 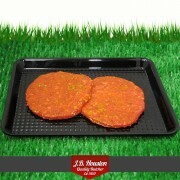 Round Steak minimum weight 250g Sliced rump round steak perfect for braising.Extra lean, great.. 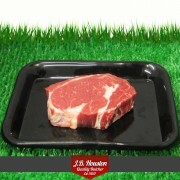 Beef Fillet Steak minimum weight 180g Tender, outdoor reared, UK grass-fed beef Traditionally..
T-Bone Steak minimum weight 450g The T-bone steak combines two famous cuts of beef: the sirloi..
Popeseye Steak minimum weight 250g per steak We trim any excess fat to leave a fantastic evenl..
Ribeye Steak minimum weight 250g The natural marbling contained in a rib eye makes for an extr.. 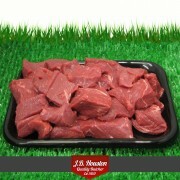 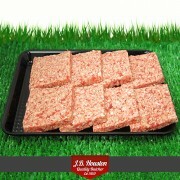 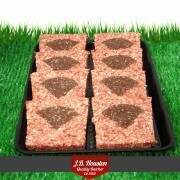 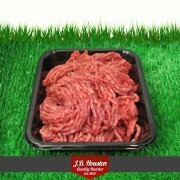 Extra Lean Beef Diced Steak minimum weight 250g - 100% visual lean Versatile cubes of our prim.. 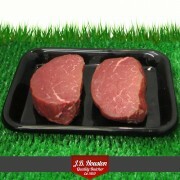 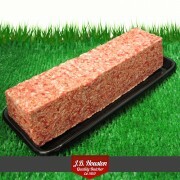 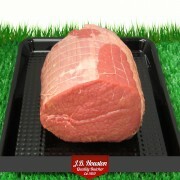 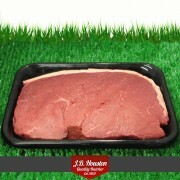 Beef Hough minimum weight 500g Hough of beef has to be one of the tastiest cuts on the beef an.. 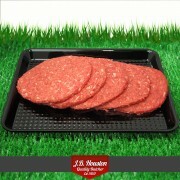 Beef, Steak Link Sausage 250g pack: 6 x links We've taken the best beef and let its..
Steak 5" Burger Per Burger - minimum weight 110g Unleash the mouth-watering aroma of pur.. 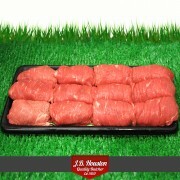 Beef Olives each - minimum weight 100g The thinnest steak wrapped around a tasty beef, pork an..